Nature Description: white crystalline or crystalline powder, soluble in water or ethanol, when the decomposition of high temperature, if with a trace of iron ions for the pink crystal. Melting point of 120 C.
S26: in case of contact with eyes, immediately use a lot of water rinse and send medical treatment. S45: accident or discomfort, immediately to the doctor for help (preferably to bring the product container label). S36 / 37/39: Wear suitable protective clothing, gloves and use protective glasses or face shields. Nicotine in its natural state is found in tobacco in the form of salt. However, nicotine salts available on the market cannot be obtained directly from the tobacco leaves. Over the course of years, tobacco companies have managed to separate the purest form of nicotine. It is called a freebase nicotine. 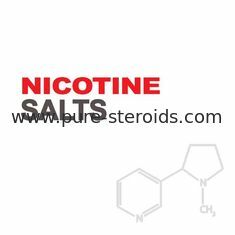 Nic salts used for nicotine salt e-liquids are made by adding different acids to the freebase nicotine. Depending on the acid used, salt based nicotine can have different physical characteristics but all of them share the same advantages. Nic salts guarantee greater satisfaction comparable to the nicotine kick after smoking a standard cigarette. As the nicotine salts are in its natural state, they are also more biocompatible to the human organism. As a result they are better absorbed to the bloodstream and the nicotine effect lasts longer. Nicotine salt e-liquids are incredibly smooth because they are more acidic (pH around 5). It means that one of the main sensation of vaping – the throat hit, becomes less harsh. Vapers can use higher nicotine strengths without any problems. 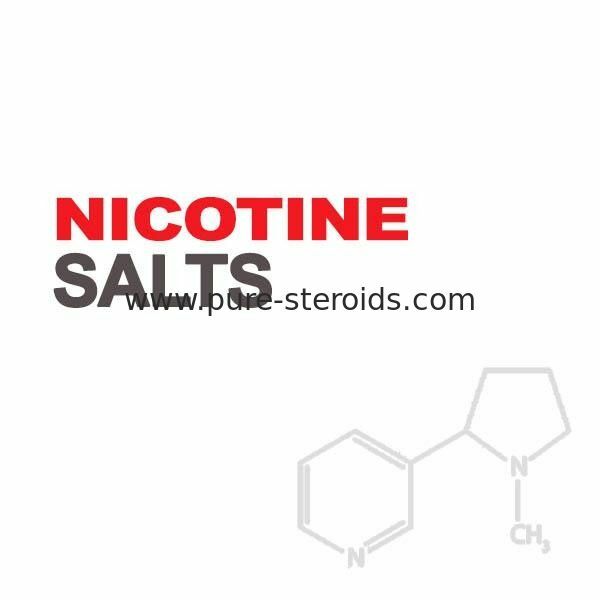 Nicotine salts and other products with nic salts oxidize more slowly. Thanks to its stable molecules nic salts are less volatile and they can be stored longer and easier than the pure nicotine. Nicotine salts are neutral in taste. They can be easily mixed with PG/VG and any flavours to obtain the best quality e-liquids. Abovementioned factors cause more satisfactory experience for the users. Because of powerful ‘nicotine kick’, products with nicotine salts are ideal for people who want to quit smoking or just switch from ordinary cigarettes.